When it comes to visiting France, do you consider yourself an independent traveller? If you happen to be reading this, there’s a strong chance you do. It’s also likely that you enjoy making your own bookings and plans, as well as doing your own trip research. And I’m almost certain your research often involves scouring the reviews of upcoming destinations, looking for some nugget of information that will help to make a vacation just a little more memorable. It seems we are all keen on advice, tips and recommendations from our fellow travellers. I know this is absolutely the case for me. The most read posts on Distant Francophile are definitely the travel related posts. In fact, the piece that has been viewed more than any other on the whole site is Our Do-It-Yourself Visit To Champagne. 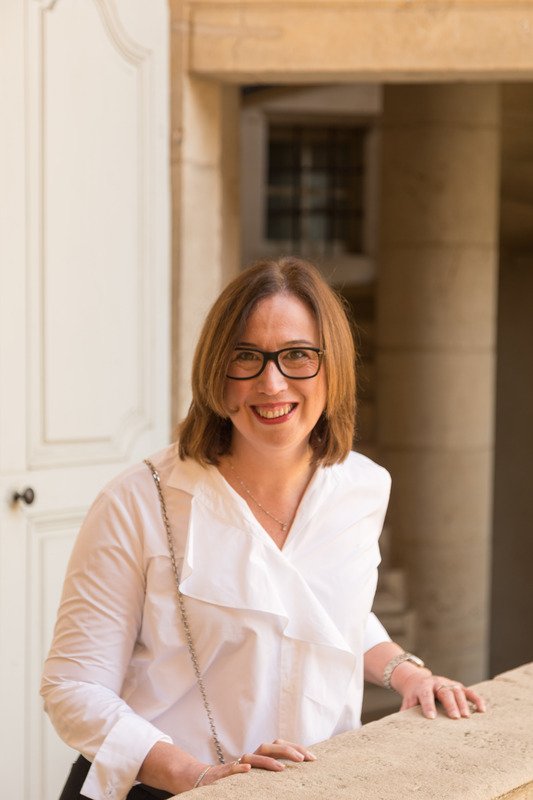 And given we’ve just spent nine nights exploring the French city of Nancy – which isn’t too far from the Champagne region – I thought it might be helpful to share our thoughts on the best of Nancy – where to stay, where to eat and what to do. Nancy is located in the east of France in an area known as Grand Est (formerly Alsace-Champagne-Ardenne-Lorraine). Despite the beauty of both the old and the new town, and its excellent proximity to Champagne, Luxembourg and Germany, Nancy did not feel particularly ‘touristy’. We heard barely any English as we moved around the city. And while there was enough English spoken in restaurants and shops to ensure you wouldn’t get stranded, we agreed that in all of our travels around France it was in Nancy where we encountered the most opportunities to practice our French. The heart of the city is the beautifully symmetrical Place Stanislas. Built in 1755 to link the original old and new towns, this elegant square is home to the Hôtel de Ville, Musée des Beaux-Arts, the Opera House, a hotel and numerous restaurants and bars. For visitors at least, it feels like all roads in Nancy lead to this vision of pale coloured stone and sparkling gold. Nancy is a remarkably easy city to navigate on foot. In fact, we chose to walk everywhere, never once opting for the plentiful public transport or a taxi. And the city is home to some gorgeous large green spaces. Pépinière Park, the largest and most popular of the Nancy’s gardens, is accessible from Place Stanislas. As with any larger French city, there is a full range of accommodation options available. We opted for a boutique hotel – Hôtel d’Haussonville – in the old part of town. To give you an idea of just how old the old town is, our accommodation was built in 1528. 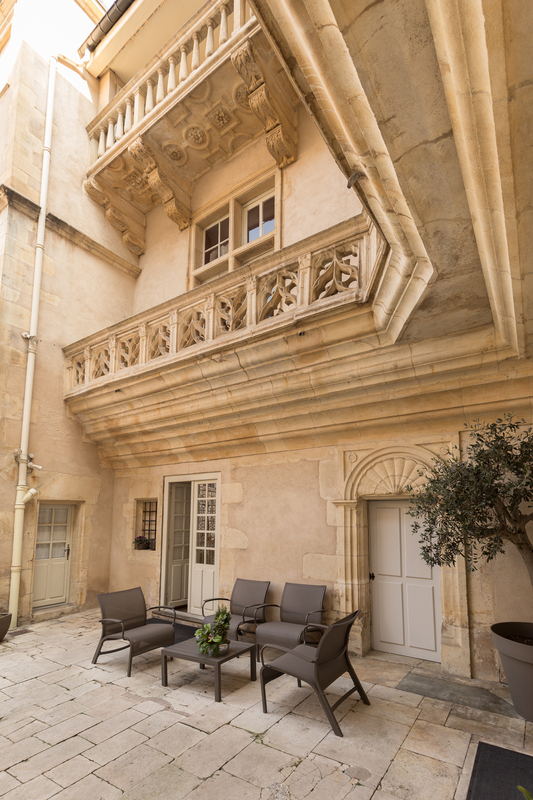 The historic building features high ceilings, a winding stone staircase and, of all things, themed rooms. But don’t let that deter you. They weren’t at all over the top and the decoration of all the rooms we saw was actually incredibly classy. Due to a function being held at the hotel during our stay, we were able to experience two rooms – the Alicante and the Haussonville. The incredibly friendly and attentive hotel staff were concerned that our original room would be too noisy on the night of the party so they offered us a second room on a higher floor to sleep in. Both rooms were extremely clean, spacious and comfortable and I’d certainly stay in either again. Hôtel d’Haussonville; 9 rue Trouillet; Nancy. While you should definitely have a drink of some sort in Place Stanislas, we’d suggest eating on the square itself is entirely optional. It’s not that you won’t eat well in one of the square’s many restaurants. It’s just that you will get better value for both your tastebuds and your money if you walk just a few steps beyond Nancy’s stunning landmark. Here you’ll find modern French dining at more budget friendly prices. For a classy meal without an ounce of stuffiness, head to Le Tém on the Grand Rue in the old town. The restaurant, which opened in 2017, is open seven days a week for both lunch and dinner. Le Tém offer two separate menu choices, one at a very reasonable prices with the other being somewhat more expensive (and both are cheaper still at lunch time). 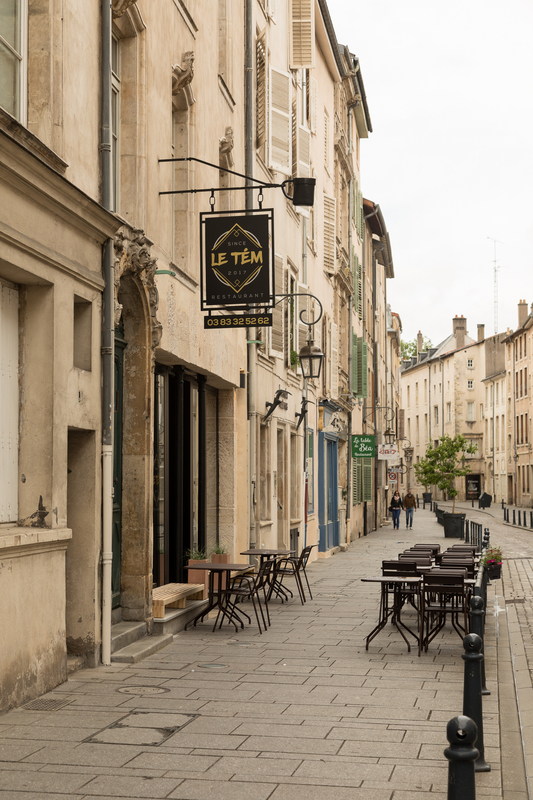 We ate at Le Tém on three occasions during our time in Nancy and, between us, tried almost all of the menu options. We were never disappointed with the flavour combinations – there really is some clever cooking going on in that kitchen. And while the wine list is exactly what you’d expect in a refined French restaurant, the presentation and variety of vegetables served is anything but typical. And the rather unique dessert buffet is a whole lot of fun. Le Tém; 17 Grande Rue; Nancy. If you are looking for a more casual offering, then be sure to check out the options offered at L’Escale. L’Escale is another restaurant situated close to the main square offering yummy food at various price points. The fixed price menus offer excellent value and wine is available in both pichets and carafes. As with Le Tém we dined at L’Escale three times while we were in Nancy and would have eaten there again if we’d had more time. Restaurant L’Escale; 37 rue des Maréchaux; Nancy. If you happen to be craving a classic French burger during your visit to Nancy, don’t go past Voyou. There are so many options, all at great prices and they even recommend different wine and beer matches. Scott was particularly impressed with the range of locally brewed beers on offer. And if your sweet tooth needs indulging, you’ll do worse than trying dessert at Voyou. Voyou; 20 rue Stanislas; Nancy. If you only visit one museum in Nancy, make sure it is the Musée des Beaux-Arts. As the name suggests, this museum is full of beautiful pieces. It’s what I’d describe as a Goldilocks museum – it was neither too big or too small – it really was just right. And its location is perfect for visitors too, as it is situated on a corner of Place Stanislas. As you’d anticipate in this type of museum, there were several galleries of stunning artworks including pieces from names like Picasso and Manet. 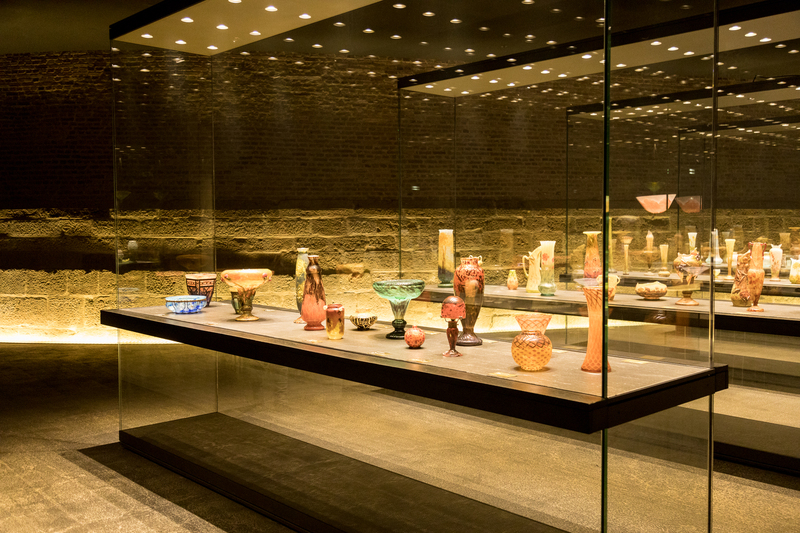 However, the highlight for us was definitely the Daum glass collection housed in the foundations of the building. Featuring row after row of sparkling, handcrafted crystal, it made it easy to imagine living in a time when the beauty of objects was considered as important as their practicality. And if you would like to take home your own piece of beautiful Daum crystal, there is a showroom located on Place Stanislas, just across from the museum entrance. Musée des Beaux-Arts; 3 place Stanislas; Nancy. Closed Tuesdays. 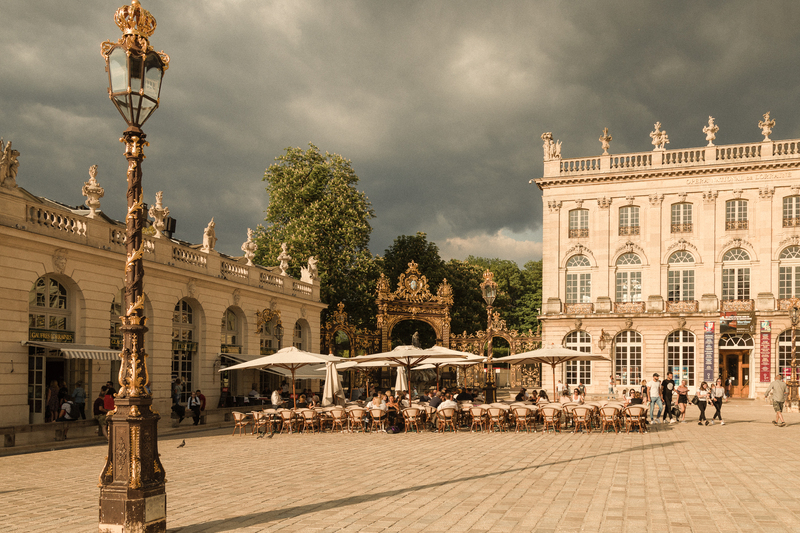 Have you ever visited Nancy in France? Do you have any recommendations on places to eat or stay or things to do? If so, please be sure to share them with your fellow travellers in the comments section below. Please note – this is an unsolicited post. No compensation of any sort has been received from the businesses named in the piece. The author booked and paid for all recommended restaurants, hotels and museums mentioned in the post. Nancy has some gorgeous Art Nouveau architecture, and, if you are able to transport it, some beautiful Art Nouveau antiques. Nancy certainly does have some absolutely stunning Art Nouveau architecture Catherine – I have a funny feeling that the DF Instagram feed is going to be featuring all of that loveliness for a very long time! We visited the museum dedicated to Nancy’s history in the Art Nouveau space and it was quite interesting and (of course) very beautiful. My husband is from Nancy and we got married in Place Stanislas. We go back at least once a year. I’m always amazed by how overlooked it is as a tourist destination as it’s just so beautiful, and so full of history too. Did you visit the Ecole de Nancy Art Nouveau buildings? There are some stunning examples of la belle époque around the town. Oh Phoebe! What a sensational place to celebrate your marriage. And I’d so love visit Nancy annually – it is so elegant. We really enjoyed the Ecole de Nancy buildings – they were really were gorgeous. You certainly grew up in a beautiful part of the world Carole. I can’t imagine cars in Place Stanislas but I can imagine the angst about having to move that statue!! One thing we really noticed was how proud the locals are of their gorgeous square.